Eru Kazado – El Cazador de la Bruja (English translation: The Hunter of the Witch) – is Bee Train’s finishing move to their girls-with-guns trilogy (after Noir and Madlax), a bounty hunter-and-prize buddy pic that spans 26 episodes spread over 2 FUNimation box sets. Episodes 1-10 are formulaic and inexplicably slow-paced, but there’s an innate charm that I blame on the original writing and talented English dub that warrants a committed run through. The fact that I laugh, literally, out loud despite myself three to four times per episode is enough to make me dispute the conclusion reached by Anime News Network’s Shelf Life (though not by dissention on any of its points). Early-20s Nadie (the bounty hunter) has come into town to capture a pre-teen-ish Ellis (the bounty) while defending herself and the bounty from the myriad other bounty hunters on her tail. Nadie is over-accommodating, inexplicably acting most of the time like an over-protective sister instead of a bounty hunter, and Ellis is like a tweeny female version of rain man with unexplained “abilities” and a case of (dum-dum-dum!) amnesia. The sources of Ellis' abilities and Nadie's passive nature are explained in the last few episodes (Eps 11-13) of the first box set, which also serve to catapult the plot into high gear without losing the charm that you’re "forced" to linger through during episodes 1-10. There’s also a plot about a top-secret experiment and the man behind the bounty as well as interactions between those in contact with Nadie and those who are observing her. Even when you’re watching the action sequences, you might find yourself asking where the action actually is. Whether this is intentional or not, El Cazador really forces you to concentrate on the characters. If this was a more shallow series, this concentration would be a great downfall, but the writers have come up with some decently three-dimensional characters worth your interest and time. It’s not that the characters are particularly deep, but there’s enough kept unsaid that a viewer is forced to wonder. As proof of this, in episodes 11-13, when most up-in-the-air mysteries are more or less explained or have some light shed on them, the series seems to move into high gear. But high-gear pacing does not mean value, and, if you want to look at the series in terms of geography, the southern US, Mexico, and Latin American countries tend to be significantly slower-going regions. The series never really identifies where it takes places to my notice, though one would assume Mexico. The fact that the series manages to evoke this sense of timelessness is a testament to, not a condemnation of, its direction. It would be impossible to recommend this series without the English dub. This is due in general to the actual use of Spanish (in a Spanish-titled anime, go figure). While used sparsely and sporadically, the lobbing in of occasional simple and familiar Spanish words and phrases makes the dub more sincere. 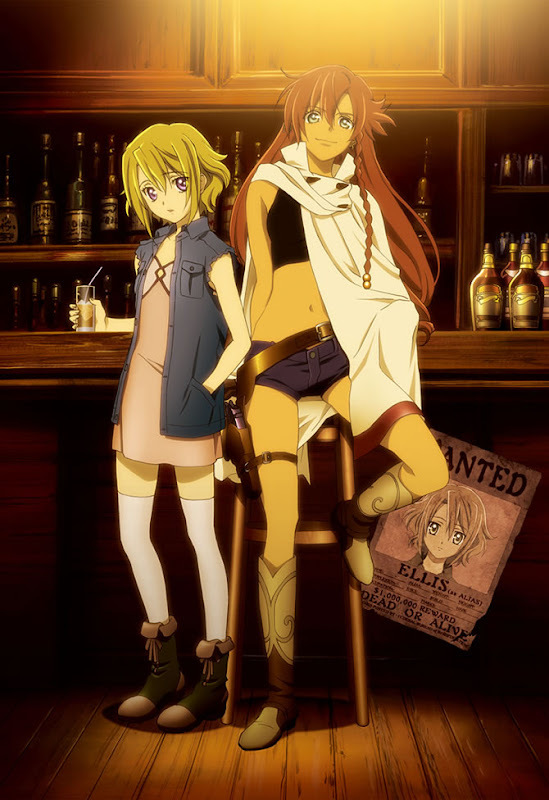 In particular, though, the dub would not be what it is without Maxey Whitehead as Ellis and Trina Nishimura as Nadie. Whitehead offers up a very clueless naiveté that borders on monotone and lends great punch to the character’s antics and expressions, while Nishimura’s performance, which is overwhelmingly warm and only justified somewhere in episodes 11-13, is indispensable because of the sarcastic asides Nadie makes to herself and her travel companion during their trip ever further south. Both actors lend a humorously endearing intimacy, seldom seen in dubs, that is the drive of this series. If you’re not laughing by episode four, call it a day. But if you noticed a smile creeping up on your face or your gut suddenly aching for breath due to sucker-punch lines, stick with the rest of the first half of this series. The writing and voice acting make for a wholly enjoyable journey that, while not anything spectacular, is too well-executed to pass up. This review is based on a FUNimation box set purchased by the reviewer.